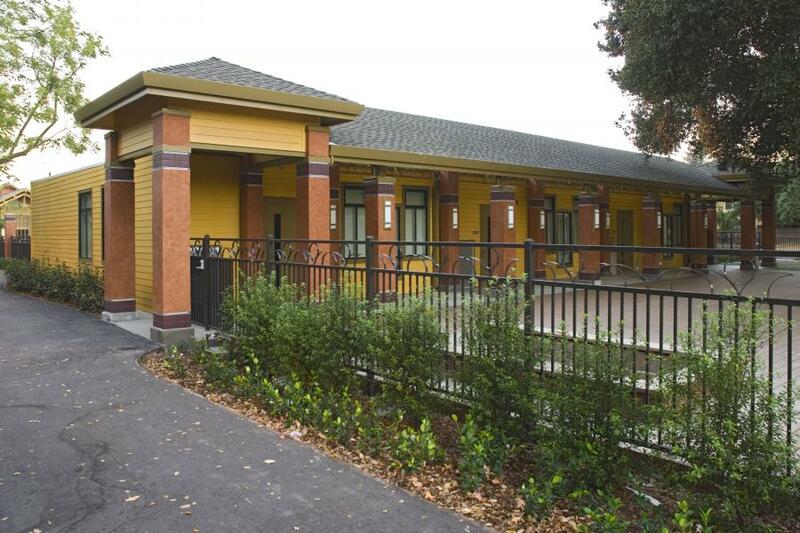 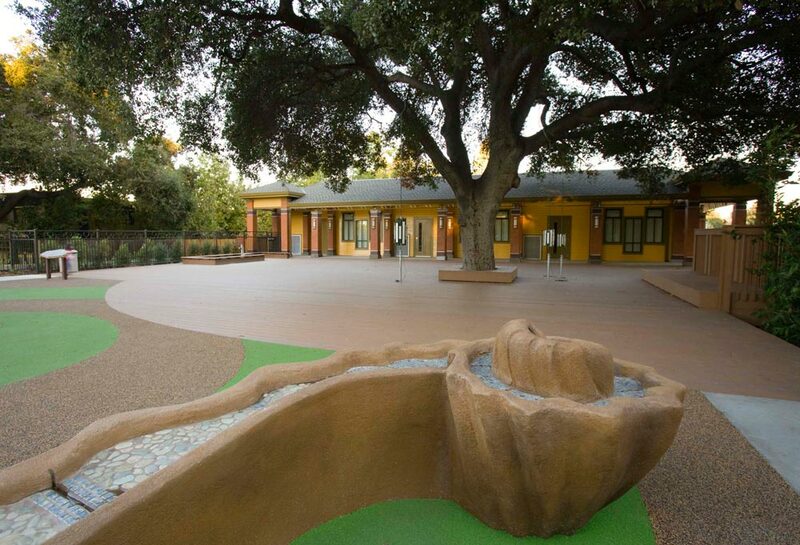 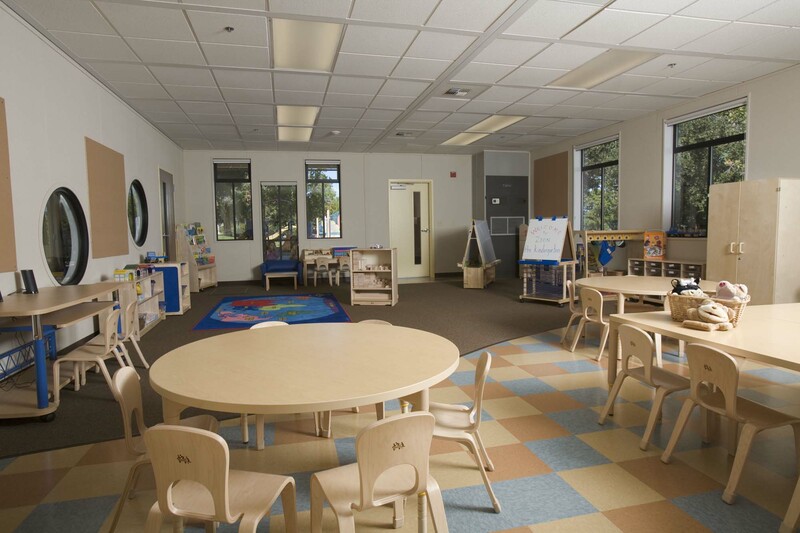 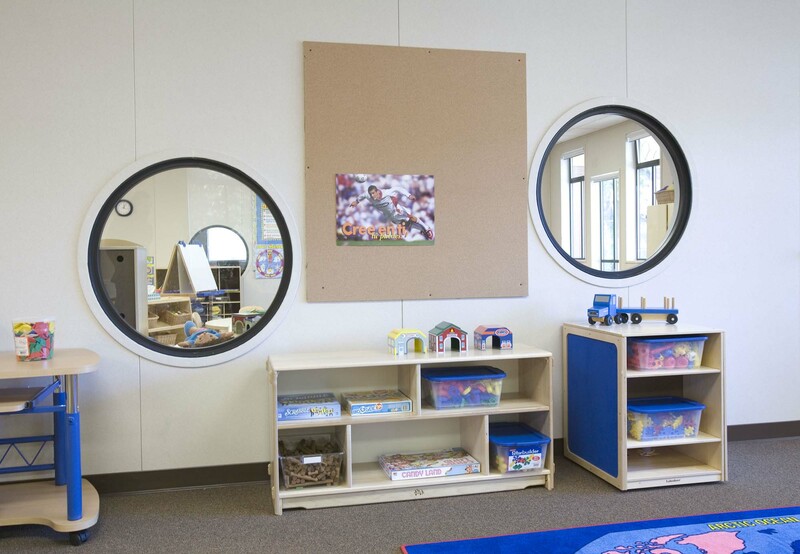 The Mountain View Child Care Center (MVCCC) includes seven classrooms, offices, lobby, restrooms, break room, and a community room with a separate exterior entrance. 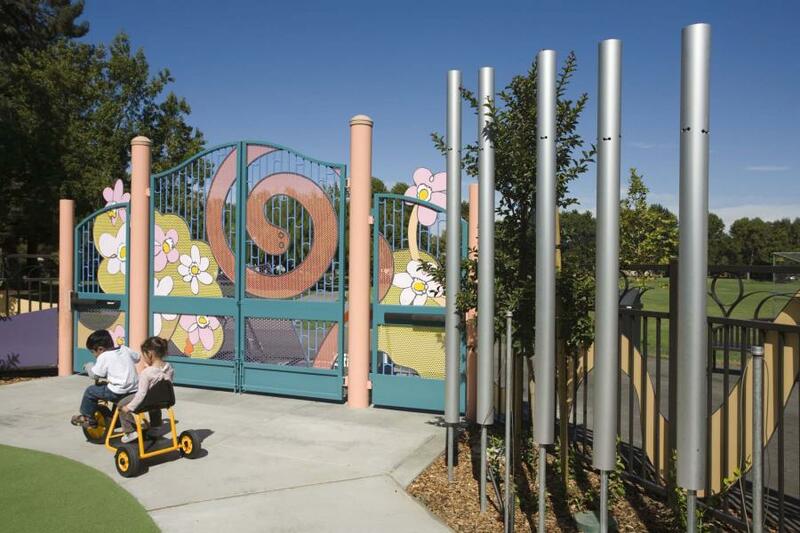 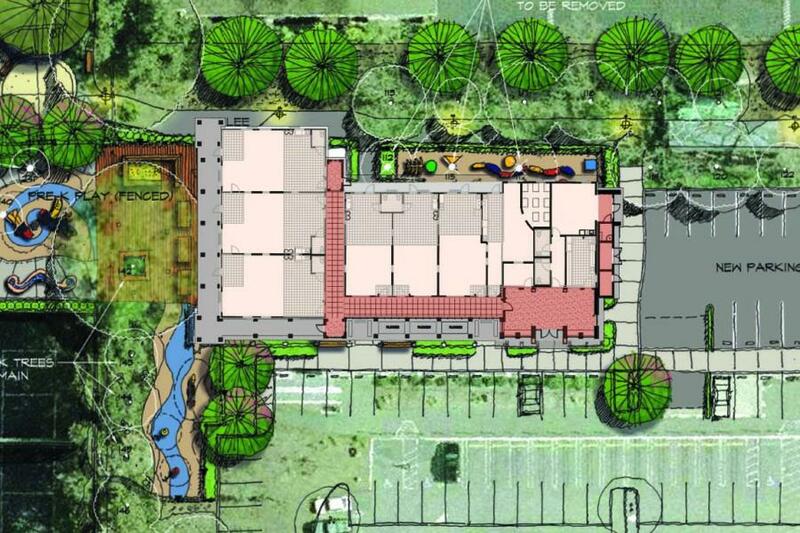 The site development includes a parking lot and two fully outfitted playgrounds, one of which is open to the general public after hours. 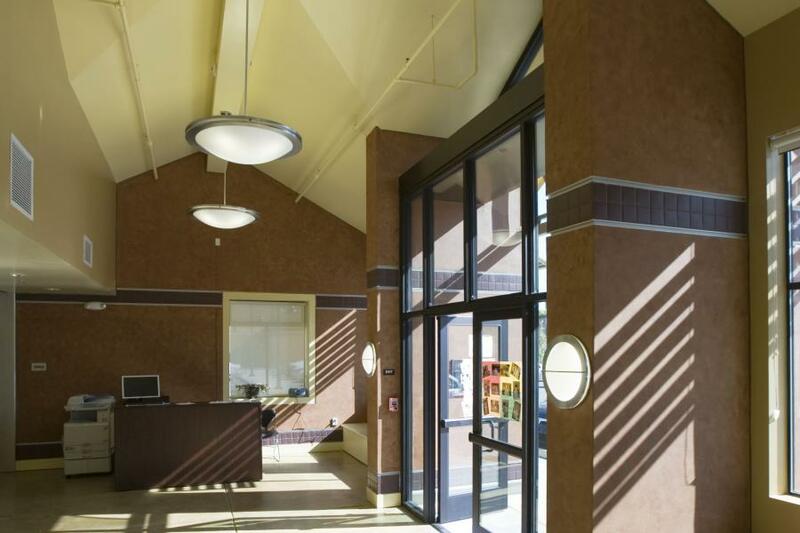 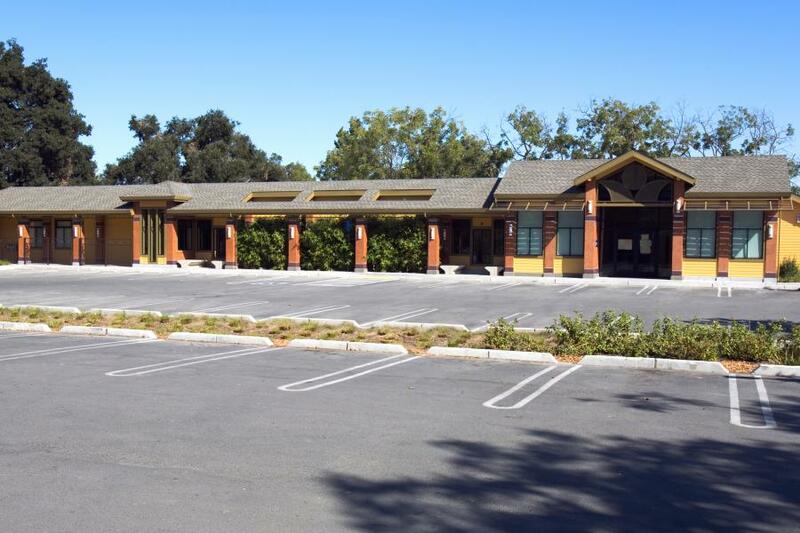 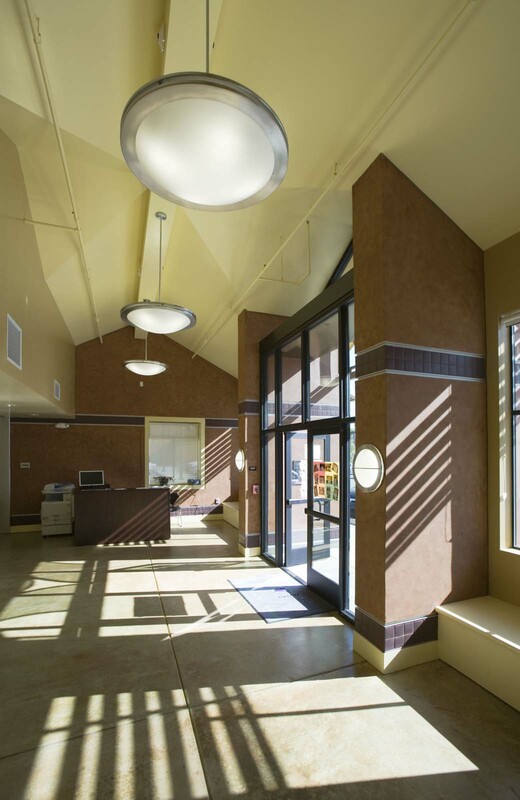 Located within Rengstorff Park, the MVCCC complements the existing Community Center and recently completed Senior Center to provide the community with a suite of services and programs in one convenient center. 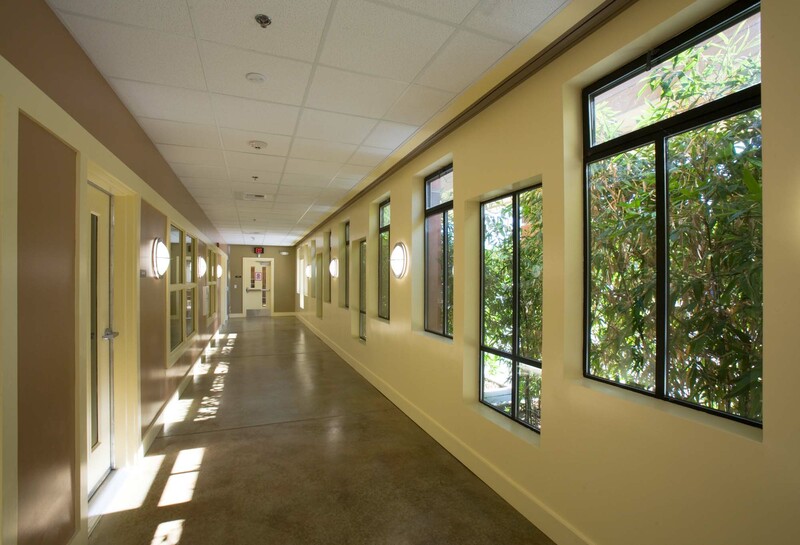 To meet the city’s budget our team developed a hybrid concept of modular rooms wrapped by a site-built lobby, corridor and covered walkway system.